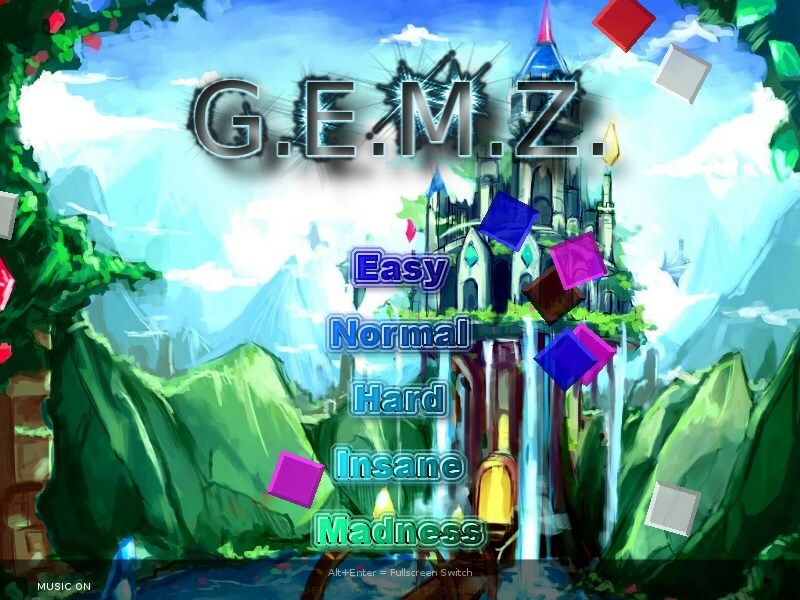 GEMZ is a puzzle game available for many platforms and OSes, it’s available in six languages (English, German, Italian, French, Swedish and Japanese), it’s simple and addictive! Just play and have fun! 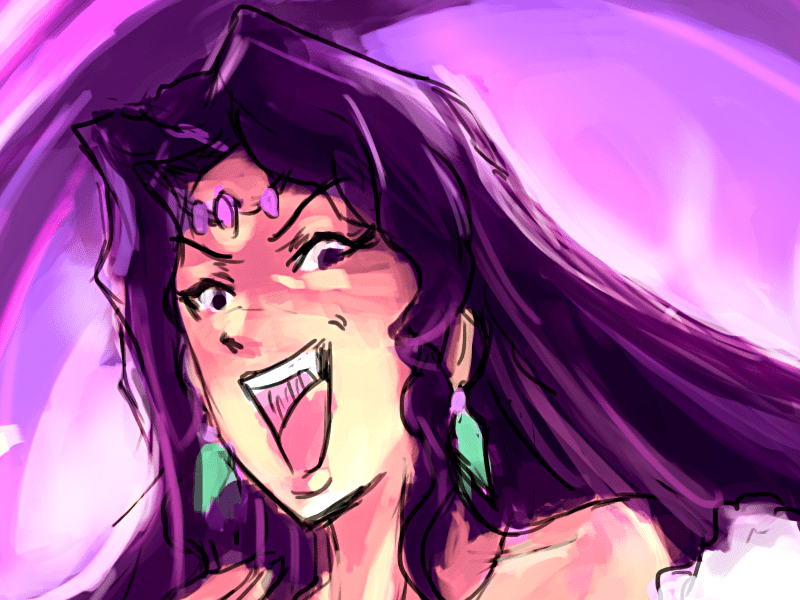 You are Rubin, a brave knight, and you have to save the princess Esmeralda kidnapped by her evil sister Zirconia, unfortunatly Zirconia has casted on you an evil spell and now you have to escape from the GEMZ dimension in order to free Esmeralda otherwise Zirconia will transform her into a diamond statue to claim the GemLand throne owned by Esmeralda. 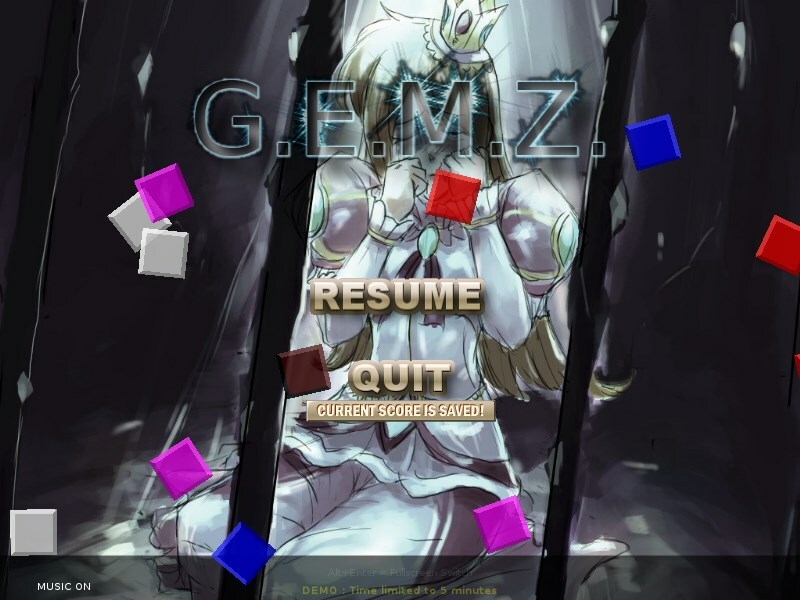 You have to solve a number of puzzles to escape from the GEMZ dimension. 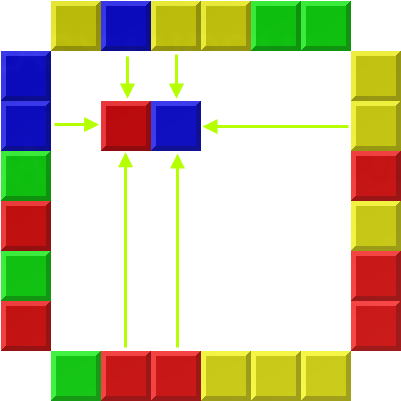 The difficulty is determined by the grid matrix size and by the number of gem colors available, the background graphics is tuned by the difficulty level you set, more higher is the difficulty level and more and better background pictures you will see. 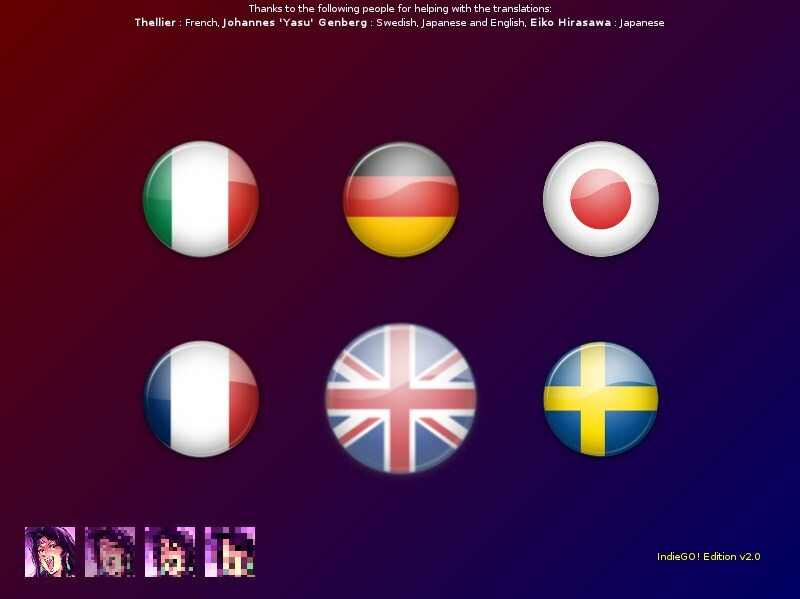 For the easy level, for example, you will see only blurred and grey scale images during the game play. 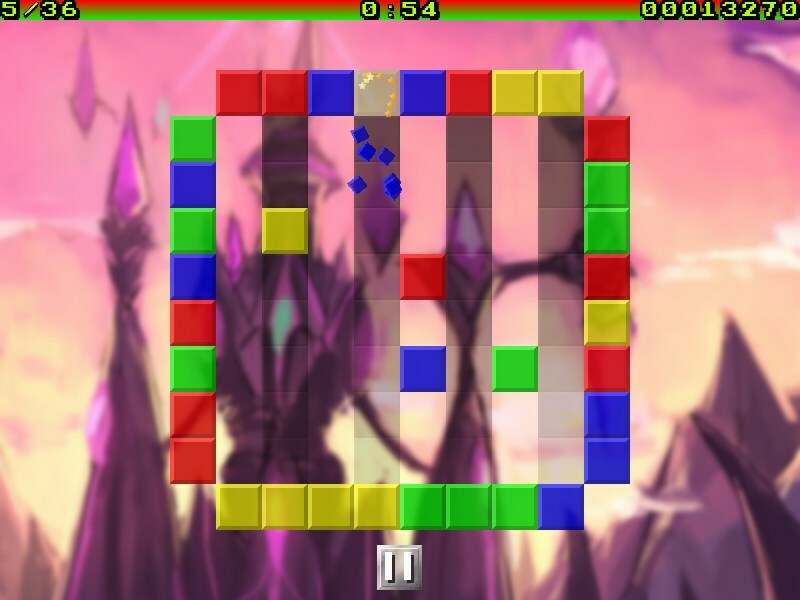 Each time you start a level you will get some time to solve it, this time increases for higher levels. If you complete the level before the time ends, the remaining seconds will be transformed into points otherwise the game will start to steal your points until you complete the game or until your points reaches zero. The stolen points for each missing seconds depends on the difficulty and the current level you are playing (higher levels means higher stolen points). 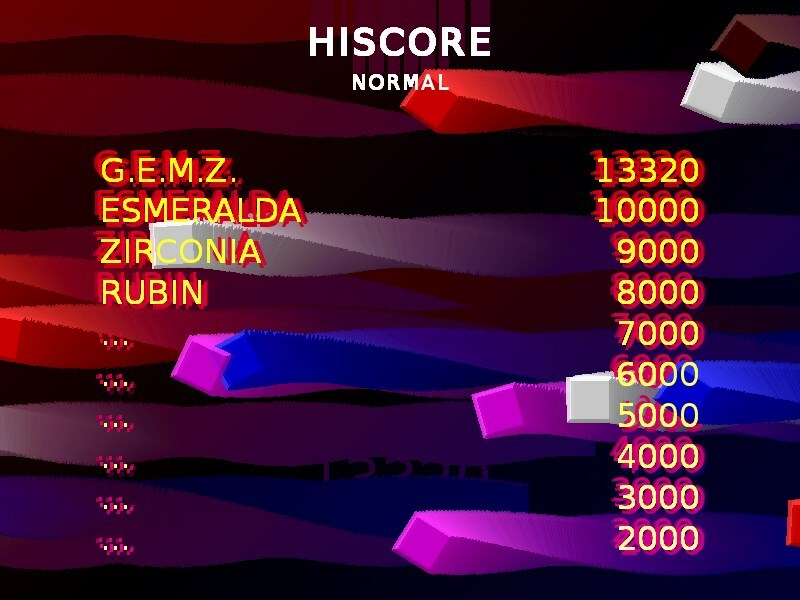 When the game ends, and you have got a good score, you will be prompted to insert your name to enter the high score, even if you have quited the game from the pause menu. The little square at the bottom of the play field will let you enter the pause screen, keep in mind that every time you enter the pause screen one second will be subtracted from the actual time. From this screen you can resume the game or quit it. The levels are generated randomly this means that each game will be different from the previous one! You can download a demo of the game with a limited play time of 5 minutes, after the time expires you have to quit the game but you can try it for further five minutes, there is no limit on how many times you can try the game before you decide to purchase it. Please try before you buy! NOTE : At first run G.E.M.Z. will download around 50Mb of music data, please be patient! G.E.M.Z. 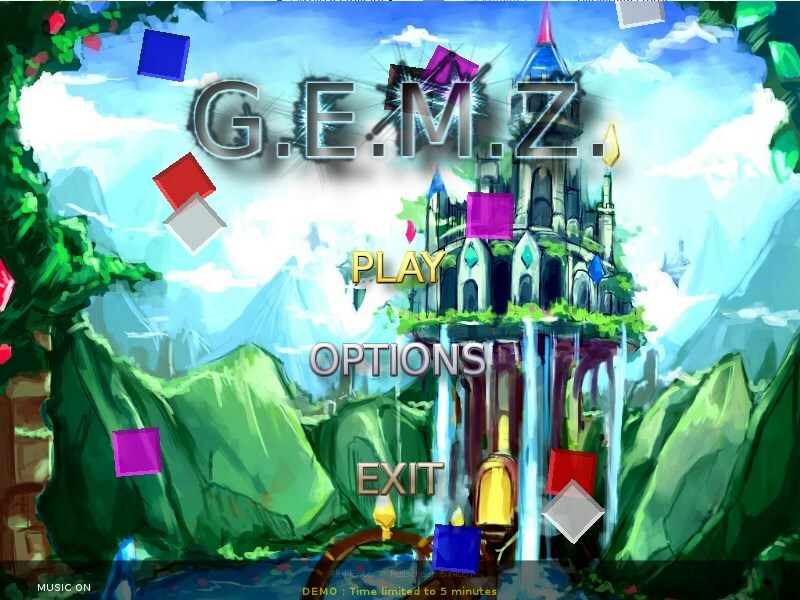 does not need any installation, simply unarchive the package and run the GEMZ executable, if for some reasons you are not able to start the game ensure that the executable flag is enabled, in some systems this flag is cleared during the unrchive process. If you still have problems please contact me. Note that on first run GEMZ will download around 50Mb of music data. please specify which version you want! You can also use one of the PayPal button to the right of the downlaod buttons. After the purchase you will receive shortly an e-mail with the unlocked executable for your OS, the game will be personalized with your name or your nickname if you prefer. The game does not have any protection systems or DRM and you will be free to run it from a removable device too. 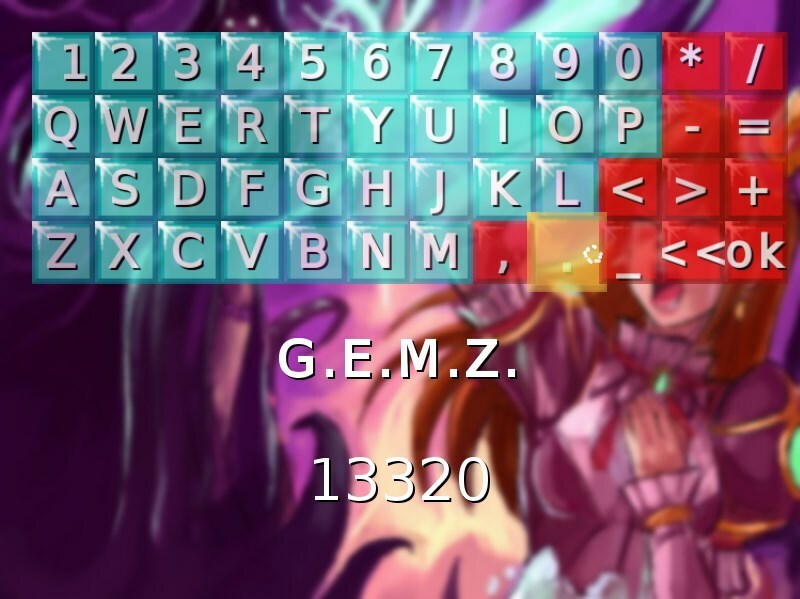 G.E.M.Z. is cheap, actually you can have it for only 4.99Euro! G.E.M.Z. is available only as digital download. 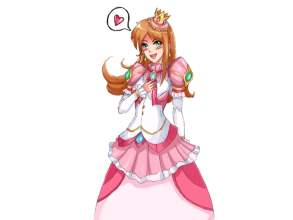 The reason is simple, I’m an indie developer who loves to make games and music but this love is not enough to pay bills, with just a little help from you I could continue this passion and we will be both happy! G.E.M.Z. is really cheap, just only 4.99 Euro for endless fun! This video is a bit outdated because it comes from the very first version published. …and many, many more fix and optimizations. Impossible to download OS4 version. Please, can you uploa full archive. Hope OS4 version will be fluid and pleasant and as Windows version. Great works, sound is nice.